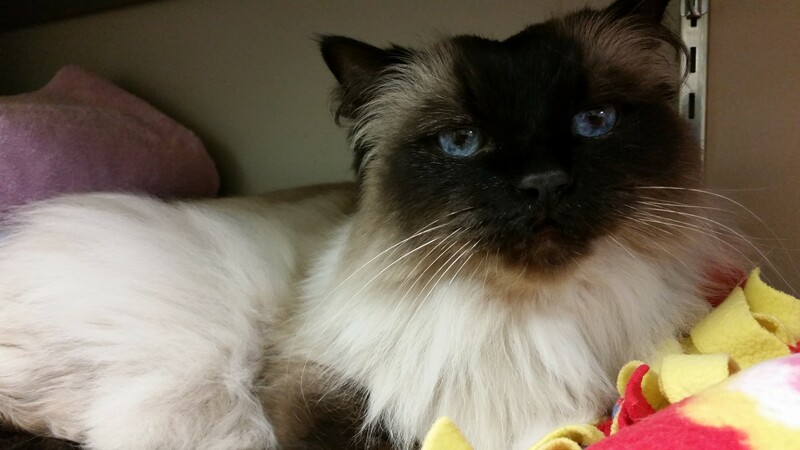 Smokey is a 9 year old beautiful blue eyed Ragdoll, who loves to talk! He typically roams around in the treatment are but will occasionally come up front to visit. If you hear a loud meow when you come into East Valley Animal Clinic, it is probably coming from Smokey. 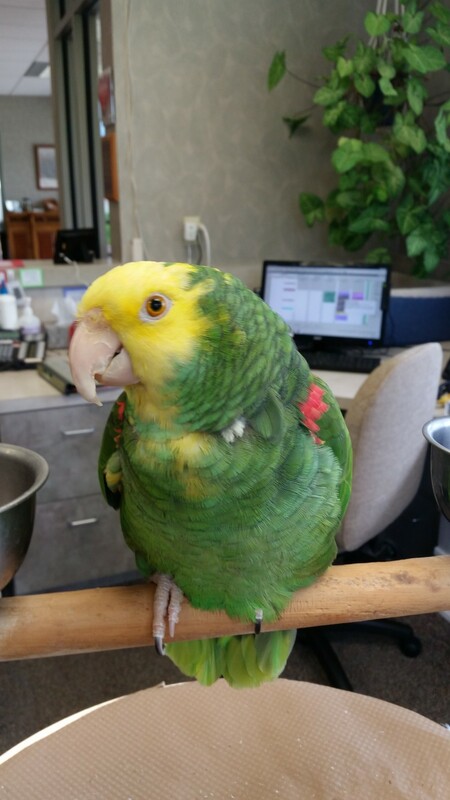 Jake is found sitting on the perch behind the front desk. She is a Double Yellow Headed Amazon Parrot. She is usually pretty quiet, unless there is a peanut butter sandwich in the building!